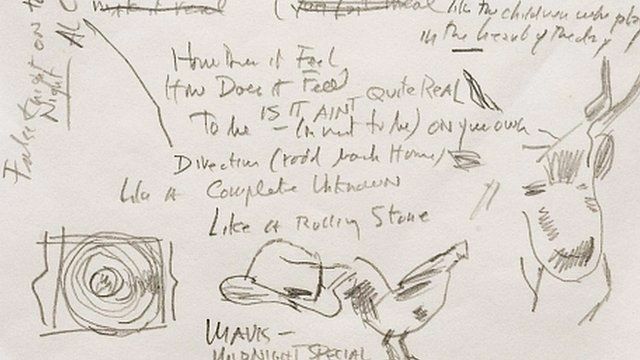 A manuscript showing Bob Dylan's original hand-written lyrics for his ground-breaking song Like a Rolling Stone is "fascinating" for its insight into the singer's creative process, Scottish musician Pat Kane has said. He told the Today programme that the manuscript, which is to be sold at auction in New York in June, shows a "genius at work". Poet Roger McGough praised Dylan's lyrics, saying that he "loved" getting the most out of language during his songs. First broadcast on BBC Radio 4's Today programme on Thursday 1 May.